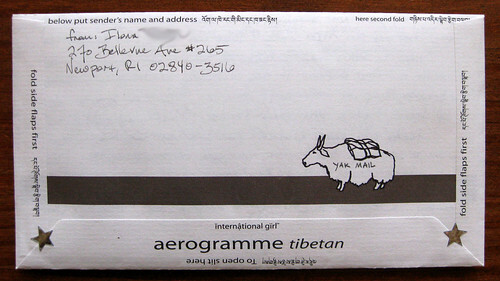 Introducing yak mail! I just love this little design. It may not be called yak mail but I dubbed it thusly. This is from the One-speed aerogrammes set by International Girl aerogrammes. I know you want a closer look at that yak. 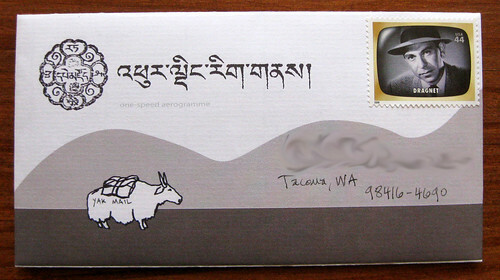 The back has Tibetan characters (it says the same as the English, just noting where to fold and where to open) and our friendly yak facing the other way. If you're new to my blog, you may not know that I've done an extensive review of these aerogrammes, and that I really love them and post about them quite a lot. 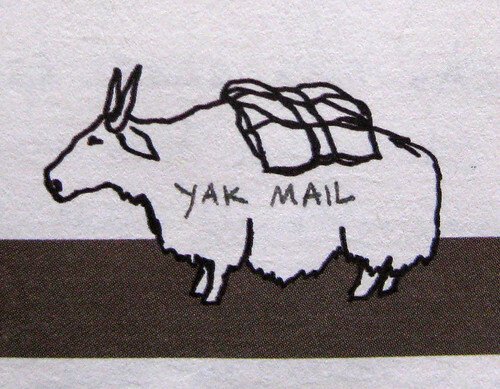 If you're anything like me, you want a closer look at the back yak, too. 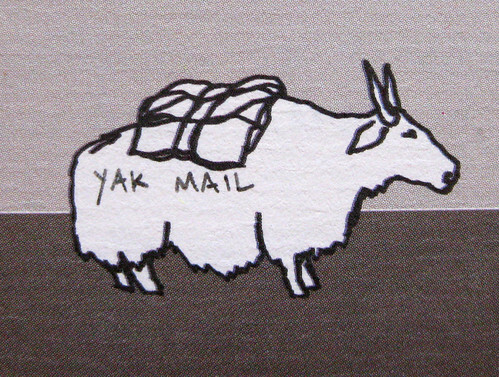 Yakety Yak do write back is awesome . You are wonderfull thanks for sharing and posting this . I absolutly love that envelope. Those are so cute, but they're really expensive. I love the packaging the International Girl aerogrammes come in... GIANT matchbook cover. Thank you for sharing inspiration every day!